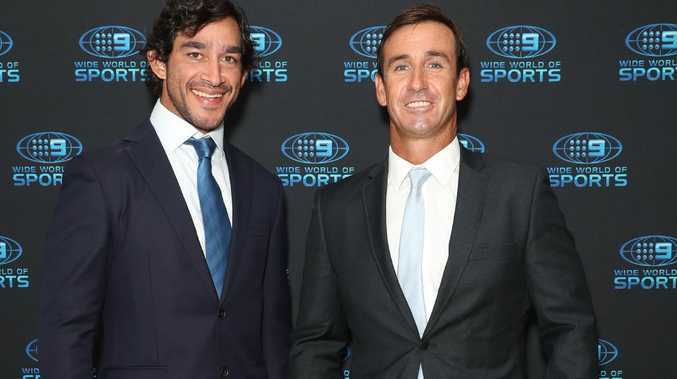 Andrew Johns, pictured with Johnathan Thurston on the left, has not held back. 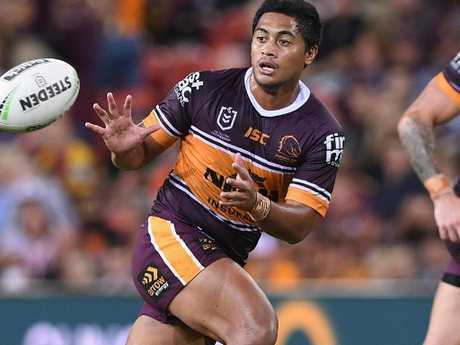 ANDREW Johns put Anthony Milford on centre stage with his pre-match comments about the struggling playmaker - and the highest paid player in the history of the Brisbane Broncos responded by tipping fuel all over the fire. Johns stepped up his criticism of the former Raiders star on Thursday night when he slammed Milford's disastrous organisation during the "bumbling" set that preceded Tigers forward Michael Chee Kam's match-winning try. The Broncos had almost an entire set camped inside the Tigers' defensive half late in the 22-16 loss - and the home side still failed to even get a drop goal attempt off when the game was there to be won at 16-16. Milford has been put at the centre of the farce, exposed as being in the wrong position after a poor set-up for the fifth-tackle drop goal attempt. Milford was standing shallow in the Broncos' line, easy pickings for the rushing Tigers defence, while fellow drop goal kickers Kodi Nikorima and Jamayne Isaako were nowhere to be seen. Johns said the complete disarray of the Broncos' disjointed attack came back to Milford's failure to organise his team - or to take the game by the scruff of the neck when it was there to be won. The eighth Immortal said Milford's performance in that moment "wasn't good enough"
"He's the highest-paid player in the Broncos' history and the game's on the line and you have to stand up say, 'Give me the ball, I'm winning the game', and at the moment we're not seeing it," Johns said. "That was bumbling and fumbling. The ball hit the ground three times in the lead-up." Johns criticised Milford and Nikorima's organising skills in the lead-up to the Thursday night showdown with the Tigers - and he again highlighted the abysmal communication between the Broncos' leaders as the reason the team fell apart in the final few minutes. "There's just no talk," Johns said as he pointed out Nikorima had been 30m away when the drop goal was there to be kicked. "You can see there's no talk relaying between Milford and the dummy half. It's disorganised. Nobody knew what they were doing. "It's really hard to watch. I could imagine for the Broncos' supporters at home, they'd be pulling their hair out. It's just not good enough." Johns earlier this week said Milford needed to stand up to prove he could lead the Broncos' attack. 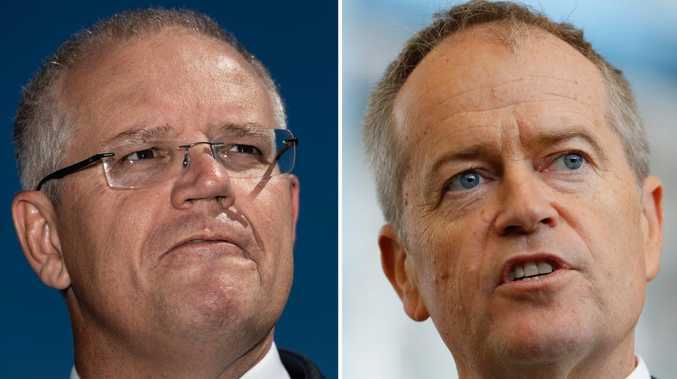 He said if Milford couldn't prove his leadership against the Tigers it was time for the Broncos to move Milford to fullback and to put Darius Boyd into the halves. Boyd also came under fire for failing to lay a finger on Chee Kam as the surprise match-winner danced through five Broncos defenders and then stepped around Boyd like he was nothing to score the winning four-pointer. Despite the criticism on social media, under-fire Broncos coach Anthony Seibold said he was content with the Boyd's leadership on the field. "Darius led by example tonight, he was really strong for us I thought," Seibold said. "I think it might have been him out the back of shape there when Corey Oates' try was disallowed, which was really good hands as well. "So yeah, I thought he was outstanding, he was a real leader for us tonight and I the young guys saw how physical he was and how brave he was and I thought they followed his lead. There's no doubt about that." The defeat at home will mean even more pressure on Seibold, whose team is well outside the eight after four losses from five games. Seibold said his players were hurting after losing their second nail-biter in three weeks. Halves Nikorima and Milford had strong moments but missed their chance when it mattered to put together an attacking set to guide Brisbane into field goal range. "He's (Milford) the organiser. It was an opportunity to ice the game," Seibold said. "It was a powerful lesson."